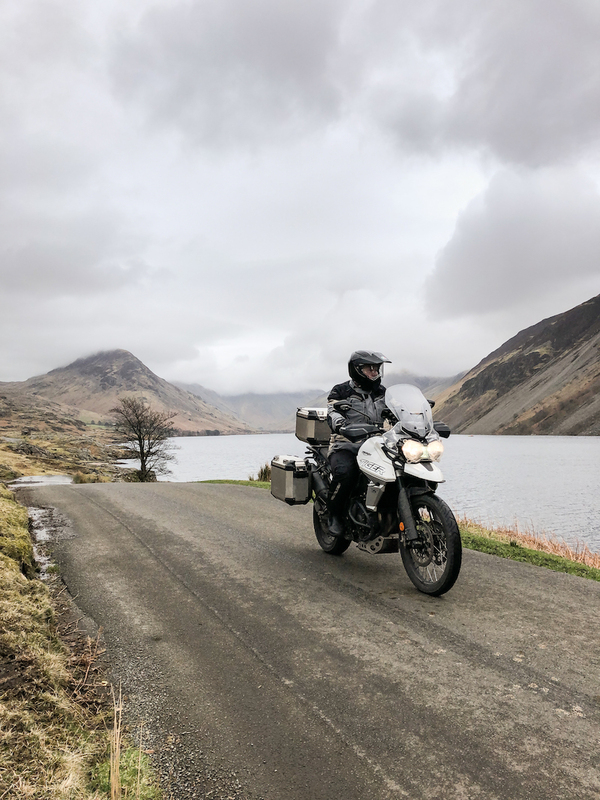 For our latest TomTom Discovery Route, James Oxley rides the lakes and fells of Cumbria for a spectacular motorcycle tour of the Lake District National Park. 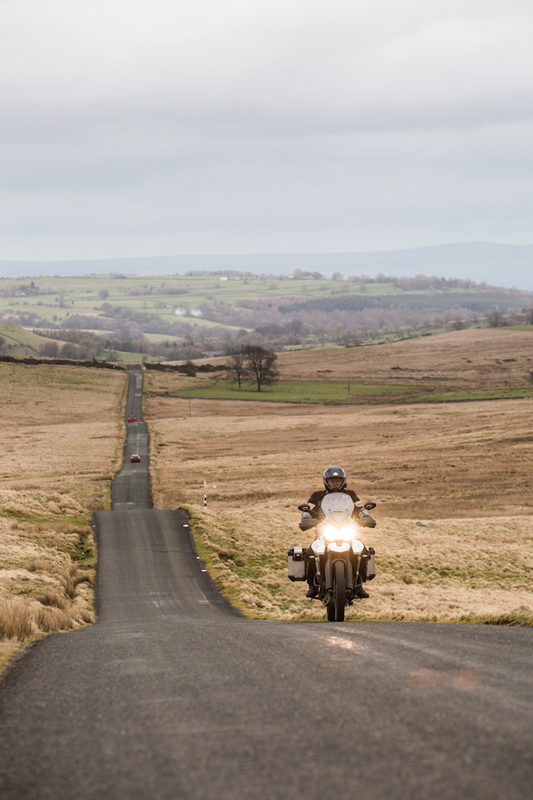 Call us biased, but we think the UK offers up some of the best riding opportunities in the world. From the majestic beauty of the Highlands of Scotland to the rugged isolation of the north coast of Cornwall, there are routes to excite and thrill in every nook and cranny of our island nation. 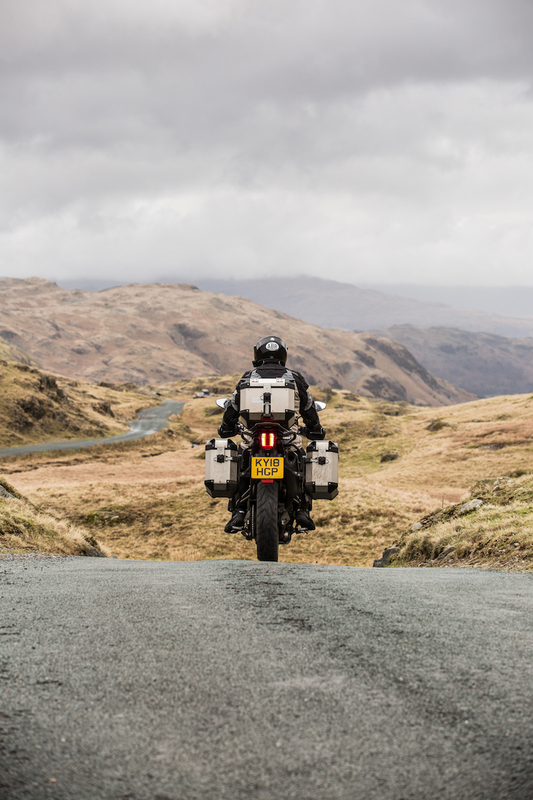 With this in mind, we’ve teamed up with TomTom to bring you a series of Discovery Routes we hope will inspire you to explore new riding destinations or take a fresh look at old haunts throughout the UK. 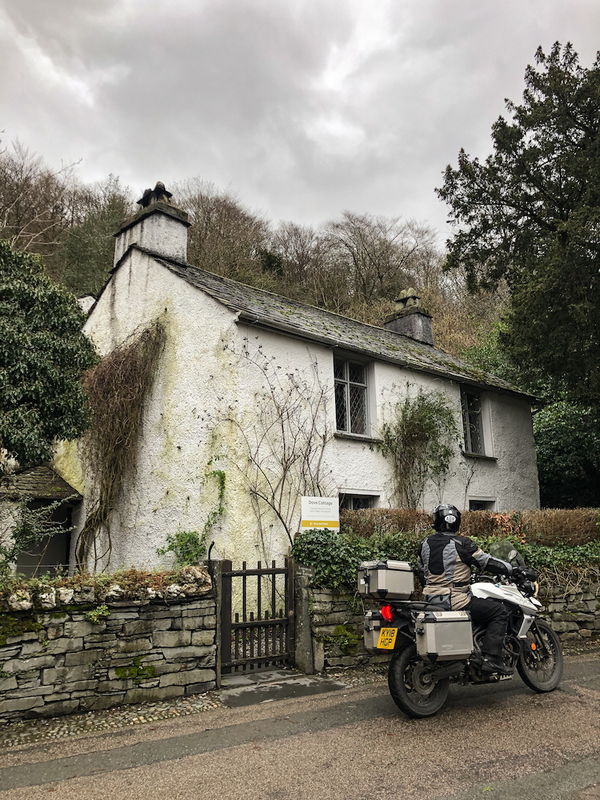 For our latest route, I travelled a 146-mile loop on a motorcycle tour of the Lake District in Cumbria, a land of craggy mountains, glittering lakes, hushed forests and verdant valleys. 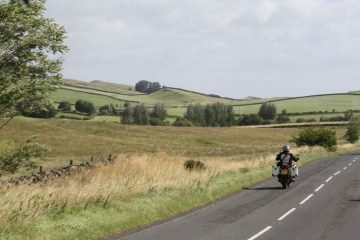 This majestic corner of north west England has long been a favourite destination for outdoor enthusiasts, artists, poets, and of course, bikers. The joy of riding through Lakeland for me, is how the roads merge with the landscape, making you feel at one with this ancient country. 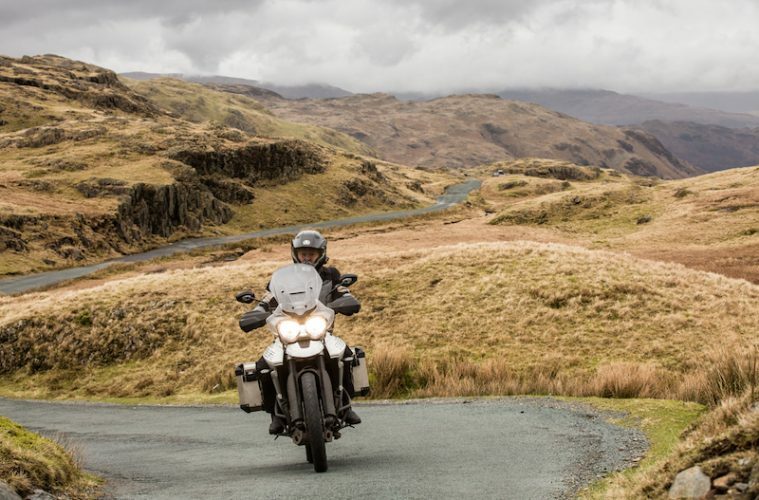 Whether the lake waters of Ullswater are lapping just a few feet from your wheels, or you’re riding the steep turns of the Hardknott Pass, a journey through the Lake District is an unforgettable experience. The route starts in the town of Kendal, a popular jumping off point with visitors to the national park thanks to its location just a few miles from the M6 motorway. The superb riding begins straight away as the route winds its way across country on a beautifully twisting road to Lakeside on Windemere. It then heads north on green and pleasant country lanes to the village of Grasmere, perhaps most famous for its links to poet William Wordsworth who lived locally. Leaving Grasmere behind, the fun really begins. 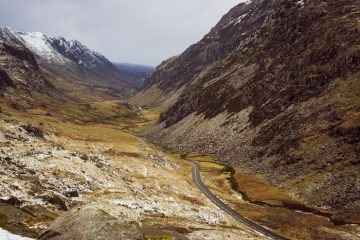 Just a few miles down the road are two of the most spectacular roads in the UK, the Wrynose Pass and the Hardknott Pass. They are narrow, steep and a huge amount of fun. Be mindful to take care as these are challenging roads requiring skill and concentration. If you can tear yourself away from the views at the top of the Hardknott Pass, the route then takes you along narrow lanes to Wastwater, a three-mile-long lake surrounded by mountains, once voted Britain’s favourite view. From Wastwater, you’ll journey along the edge of the Lake District before cutting back to Buttermere, a favourite spot of much-loved Lakeland author Alfred Wainwright. 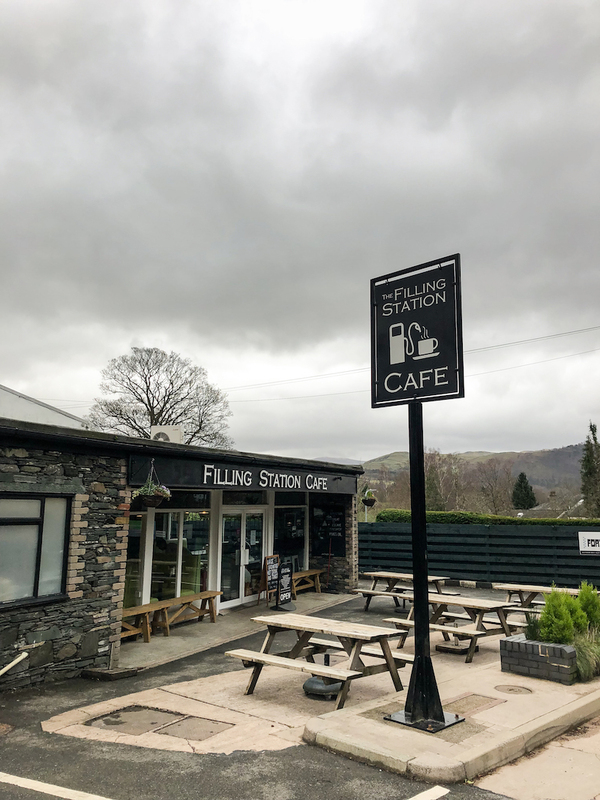 By now you’re probably feeling hungry, so a stop at the The Filling Station Café in Keswick is in order before riding to the far north of Lake District on beautiful open roads. The route then swings south again with a stop at Ullswater lake, before heading to Kendal and the end of our journey. 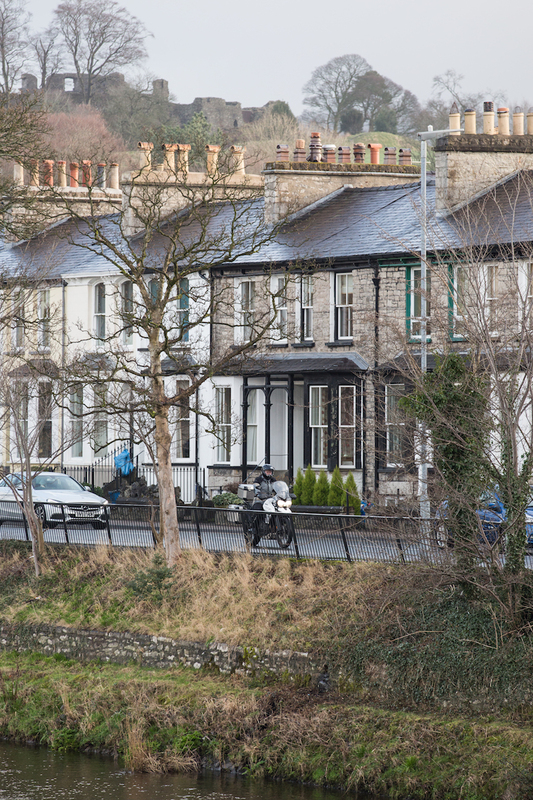 The journey begins in Kendal, a bustling market town on the edge of the Lake District, just 15 minutes ride from the M6 motorway. There are plenty of hotels, B&Bs, restaurants and pubs, which make it a great place to stay overnight at the start and end of this TomTom Discovery Route. If you have time, I’d recommend a stroll around this vibrant town and be sure to pick up some Kendal Mint Cake. This sweet treat is famous around the world for providing outdoor lovers with an energy boost and has even been taken on ascents of Mount Everest. Leaving Kendal behind, you’ll strike out across country on a lovely twisting road towards Windemere. This stretch is the perfect warm-up for the day and features a couple of nice tight turns. A few miles down the road you’ll arrive at Windermere, which is England’s largest lake. At 10.5 miles long, this body of water is a stunning sight to behold. Our route arrives at Lakeside Pier near the southern tip of the lake. It’s the perfect place to grab a coffee at the café next to the water and watch the ferries cruise the lake waters. You may even see a steam engine from the Lakeside and Haverthwaite Railway arrive. The 17-mile ride to the picturesque village of Grasmere winds its way through gently rolling hills on single-lane roads. As you travel further north, the landscape gets hillier and you’ll catch glimpses of the mountainous terrain synonymous with the Lake District. Grasmere village is perhaps most famous for its links to the English poet William Wordsworth. Born in nearby Cockermouth, Wordsworth and his sister Dorothy lived in Grasmere at Dove Cottage, where he wrote his much-loved poem ‘I Wandered Lonely as a Cloud’. The village itself is a popular tourist spot with plenty of gift shops and places to eat. I’d recommend a stop at Sarah Nelson’s Grasmere Gingerbread shop which has been making gingerbread locally since 1854. It’s certainly tasty and is great to pop in your pocket for a treat later in the day. This is where the riding hots up. 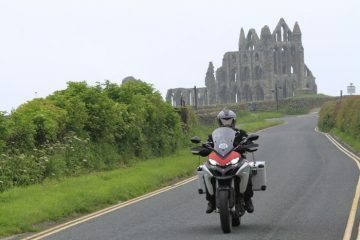 Up until now we’ve had an extremely pleasant ride through rolling countryside, picturesque villages and verdant forests. However, the Lake District is famous for its mountainous terrain and the Wrynose Pass is our first experience of that. Leaving Grasmere, make sure you take the direct route through Elterwater, rather than backtracking through Ambleside. After a few miles, you’ll start the climb up the Wrynose Pass. Approaching from the east, it’s an enjoyable climb along a single track road that meanders rather than twists up the valley side. It’s not technically challenging but you’ll need to keep your wits about you for oncoming traffic. At the summit of the pass is a small parking area where you may be tempted to stop and take photos of the road you’ve just ridden. However, a couple of bends further downhill and you are met with a spectacular view of the road curving down into the valley floor below. If you stop for pictures, ensure you find somewhere safe to pull over. At the bottom of the Wrynose Pass you’ll cross over a small stone bridge and begin your ascent of the Hardknott Pass, one of the most challenging roads in the UK. The one-in-three gradient feels a steeper climb than the Wrynose Pass, most likely due to a few switchbacks that will have you throwing your body to the side of your bike for balance. 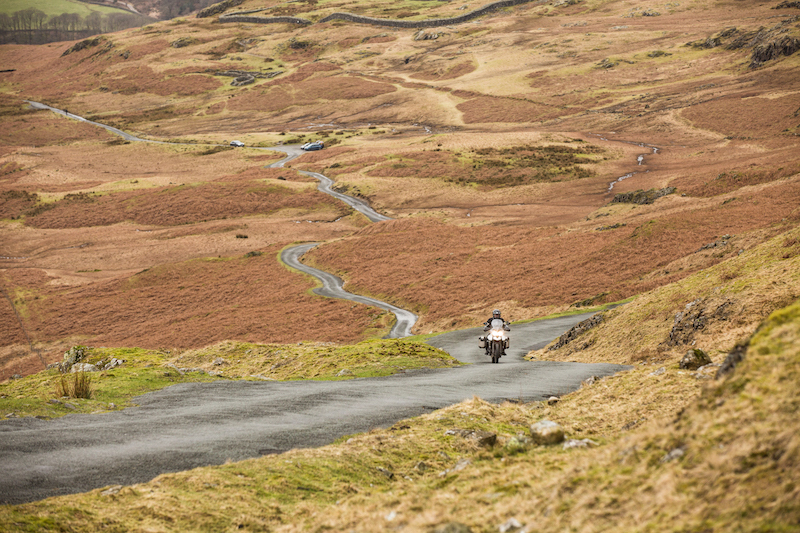 While the Hardknott Pass has a notorious reputation, it really is a lot of fun and an enjoyable test of your road riding skills. It’s a narrow single-lane road hardly wide enough for two cars to pass in some sections, so be mindful of drivers looking at the view rather than the road. As you crest the pass from the east, you are rewarded with a magnificent view of the Lake District in all its glory. 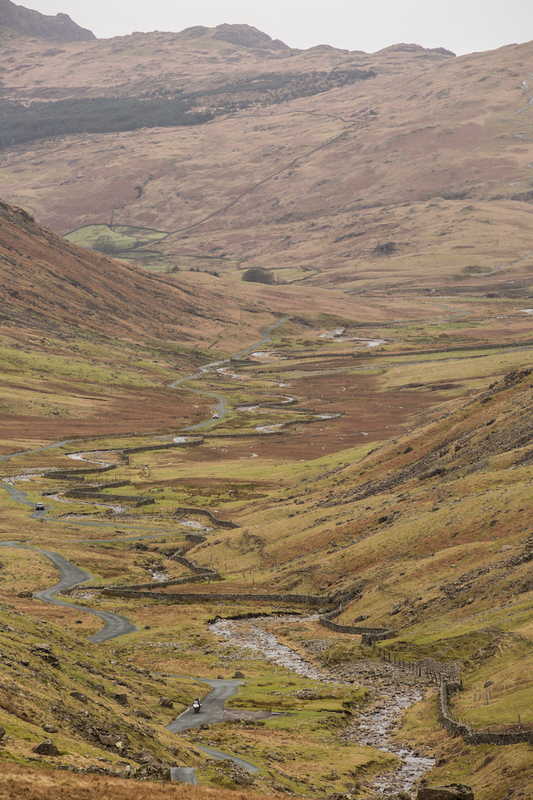 I’m sure hikers and mountaineers would argue there are better views to be had, but for a biker, the sight of the Hardknott pass wiggling its away into the valley below is difficult to beat. It’s fair to say you’re not spoilt for scenery in the Lake District, but the view sitting on the banks of Wastwater is particularly special. A single-lane road runs the length of one side of the lake, while on the opposite bank, scree tumbles into the water from the steep slopes of the Wasdale Valley. Wastwater is surrounded by some of the highest peaks in England, including the tallest, Scafell Pike. 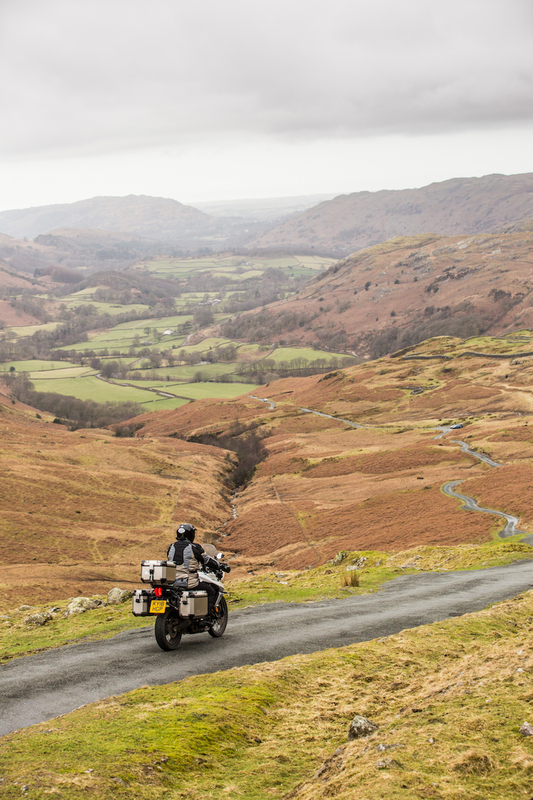 It’s a special place and one to get off the bike, pull out any Grasmere Gingerbread you have leftover, and marvel at the special places your motorcycle can take you. It would difficult to write about the Lake District without mentioning the author most notably associated with the area, Alfred Wainwright. His love of the landscape led him to pen A Pictorial Guide to the Lakeland Fells, a series of seven exquisitely hand-drawn books that have inspired countless people to explore this beautiful corner of England. 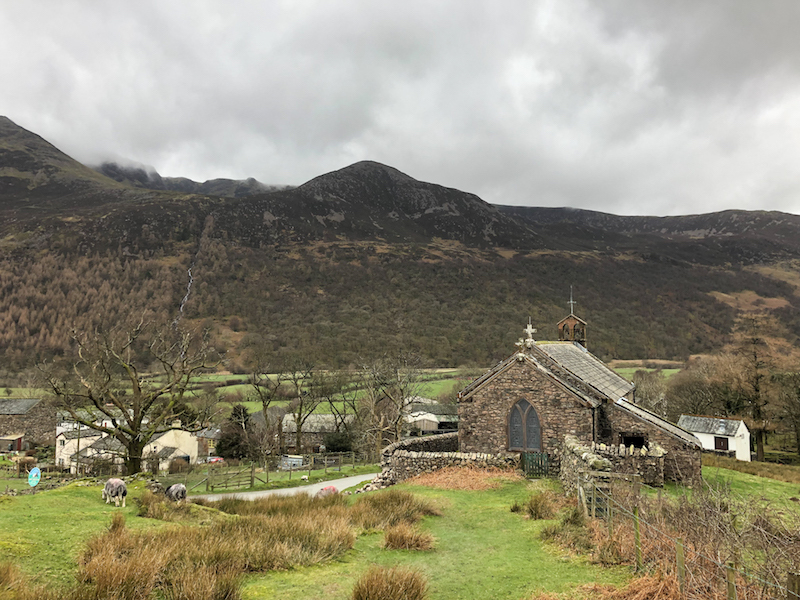 A memorial to Wainwright sits in the windowsill of the Church of St James in Buttermere looking out to Haystacks, a favourite walk of the author. Leaving Buttermere behind, turn left at the church in the direction of Little Town. You’ll find yourself riding along a glorious ledge road with a valley plummeting below. A mile or so down the road you’ll find Moss Force waterfall cascading down the hillside. A great spot for a photograph. Nearing the town of Keswick, I was greedily looking forward to a burger and coffee at The Filling Station Café, a popular biker haunt in these parts. The drizzle was falling and I could happily see myself passing a contented hour indoors. However, it was gone 4pm by the time I pulled up outside the cafe, which was past closing time on a rainy Tuesday afternoon in February. To say I was gutted was an understatement, and I cursed myself for not riding a little faster earlier in the day. 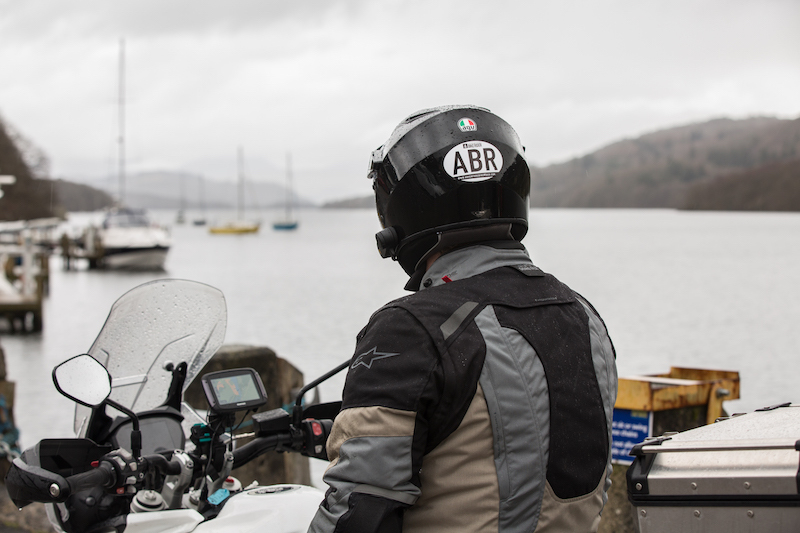 I’d heard good things about the café from ABR Editor, Bryn, and I’ll definitely swing by on my next motorcycle tour of the Lake District. The stretch of road running from Bassenthwaite Lake to Caldbeck is in the far north of the Lake District. This area can be easily overlooked by visitors intent on exploring the better known landscapes to the south. That’s a good thing for us bikers because it means less traffic on open roads that provide stunning views for miles around. One undulating stretch of the B5299 feels a little like a roller coaster as it rises and falls beneath your wheels. The fact the road is arrow straight is a blessing after riding so many curves. 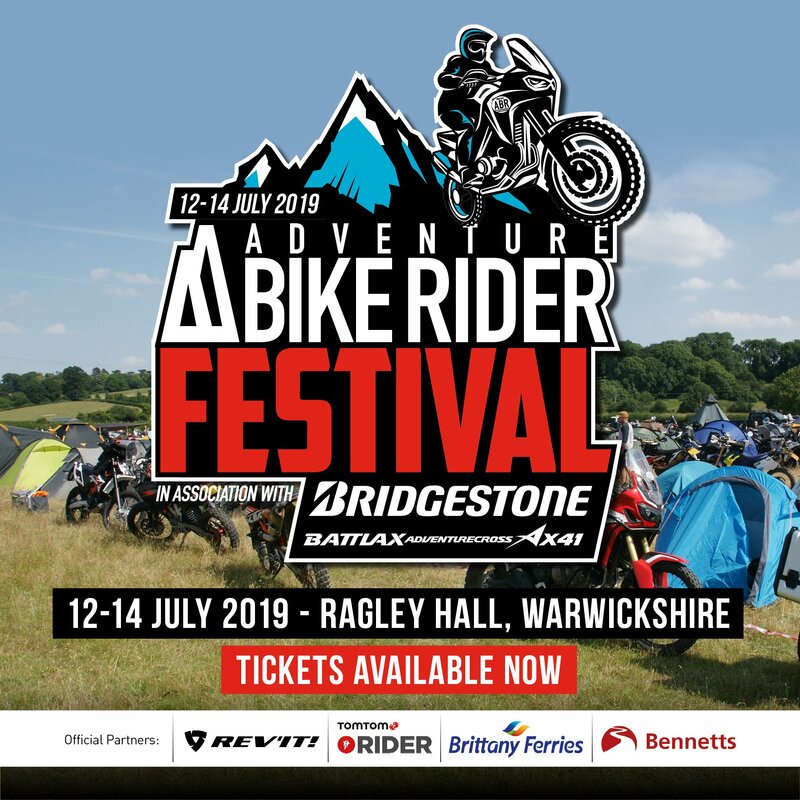 It gave my clutch hand a rest and afforded the opportunity to open up the throttle and enjoy the scenery, soundtracked by the whine of my Triumph Tiger 800 triple. The final highlight of this TomTom Discovery Route is Glenridding on Ullswater. The village sits next to the lake and is a lovely spot to grab a coffee, soak up the scenery and replay in your mind the brilliant motorcycle roads you’ve ridden all day. If you’re feeling active, there are a selection of water sports going on including kayaking, swimming and sailing. 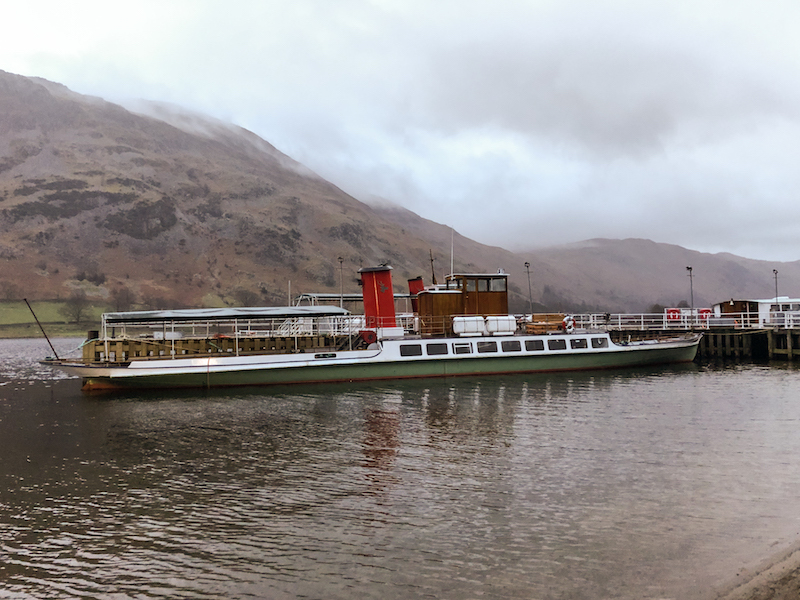 For those of you feeling less energetic, a cruise on an Ullswater Steamer will provide a view from the water of the stunning fells surrounding the lake, before you head back to Kendal and the end of the ride. Plug the following waypoints into your SatNav to follow the ABR and TomTom Cumbria Discovery Route. NB The following route is available to download so that you can stick it straight into your SatNav. Simply head over to the ABR forum and enter the thread titled ‘ABR and TomTom route files: The Cumbria Discovery Route’. 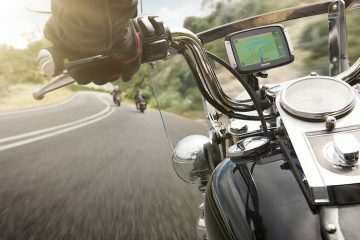 Win a TomTom rider 550! 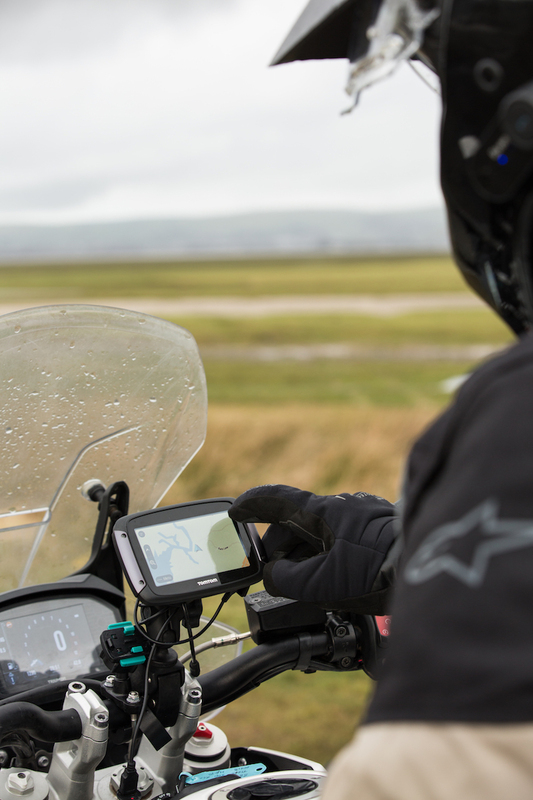 Discover more incredible routes and attractions in the UK with the new TomTom Rider 550 SatNav, which comes pre-loaded with enough incredible rides to keep you busy for a lifetime, along with a number of features that are designed to allow you to get the most out of your next trip. 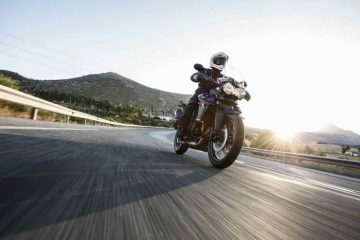 Winding Roads and Hilly Roads settings will take you on the most thrilling ride between two points, while the all-new Routes and Stops functions will allow you to get on the road with the world’s best curated routes pre-loaded onto the device. Brand new for the TomTom Rider 550, is the ability to update the device via WiFi, and to have your smartphone messages read to you, and it’s compatible with Siri and Google Now, so you can control it with your voice. The TomTom Rider 550 retails at £399.99, while the TomTom Rider 550 Premium, which comes complete with a selection of fixing mounts, retails at £499.99. Head to www.tranam.co.uk to find out more. Which of these is a feature of the TomTom Rider 550? 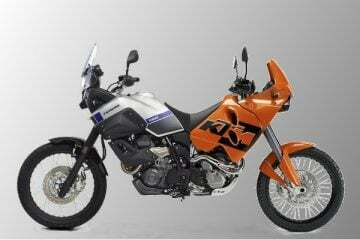 T&Cs I would like to receive competitions, offers and promotional emails from Adventure Bike Rider magazine and TomTom. I understand that I can unsubscribe at any time. All entries must be received by 23:59 on Tuesday 30 April 2019. Entries after this time will not be counted. Entries are open to people living in Europe. You can unsubscribe from Adventure Bike Rider and TomTom’s email database at any time by clicking unsubscribe at the bottom of one of our emails.